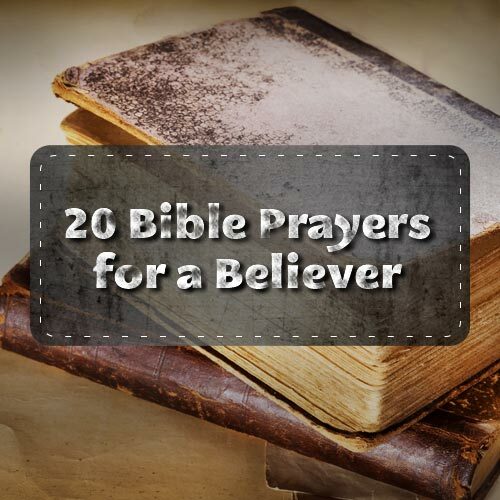 Here are 20 verses that you can prayer over yourself. Memorize them. Write them down. Personalize them. These are for you. 1. Pray to be filled with the Holy Spirit and walk daily in His power. 2. Pray to speak the Word of God with boldness. 3. Pray to grow in humility. 6. Prayer for loneliness and frustration. (This one is HUGE for New Yorkers). 7. Pray to be a vessel of the love of God to others. 8. Pray for specific direction. 9. Pray for a growing and intimate relationship with Jesus. 10. Pray for a deeper and clearer understanding of the Word of God. 13 However, when He, the Spirit of truth, has come, He will guide you into all truth; for He will not speak on His ownauthority, but whatever He hears He will speak; and He will tell you things to come. 14. Pray to be able to present the Gospel clearly to friends and coworkers. 3 meanwhile praying also for us, that God would open to us a door for the word, to speak the mystery of Christ, for which I am also in chains, 4 that I may make it manifest, as I ought to speak. 15. Pray for a renewed and growing zeal to share the Gospel with others. 16. Pray to be completely yielded to Christ and be willing to die to self. 34 When He had called the people to Himself, with His disciples also, He said to them, “Whoever desires to come after Me, let him deny himself, and take up his cross, and follow Me. 35 For whoever desires to save his life will lose it, but whoever loses his life for My sake and the gospel’s will save it. 36 For what will it profit a man if he gains the whole world, and loses his own soul? 17. Pray for a thankful heart, especially in times of difficulty. 18. Pray that all of your needs (physical, spiritual, emotional) will be met. 19. Pray that you would long to be holy and live a life of obedience to the Word of God. 20. Pray to not lose heart in your walk. making the word of God of no effect through your tradition which you have handed down. And many such things you do. Jesus told the Pharisees that their problem was tradition. 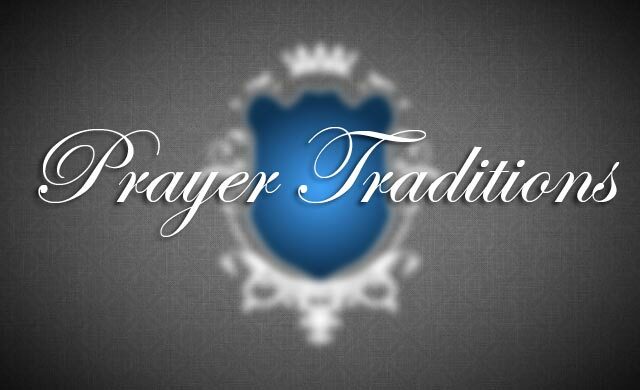 What traditions do we see in our prayer lives? What traditions can impair our prayer life and, ultimately, our relationship with God? • Striving in prayer when striving is not necessary. Longer is not necessarily better. You don’t have to fight God for something He has already given to you. You need to pray with God…not at Him. • Continually speaking in prayer. Jesus said to stop the vain repetitions. Look at the story of Mary and Martha: Martha was busy doing, doing, doing. Mary sat at the feet of Jesus and listened. • Having a long prayer time over a meal. What did Jesus do before eating? He lifted up and gave thanks. That was it. By the way, you don’t have to pray for the food. It isn’t sick. It has already been blessed. It was blessed when it was a seed—that’s how it was turned into a meal. Just say thanks. When you pray that something will happen…believe it will happen. When Jonah prayed in the belly of the fish, he prayed a prayer in the past tense. He was so confident that it would happen, he spoke as though it had already happened.